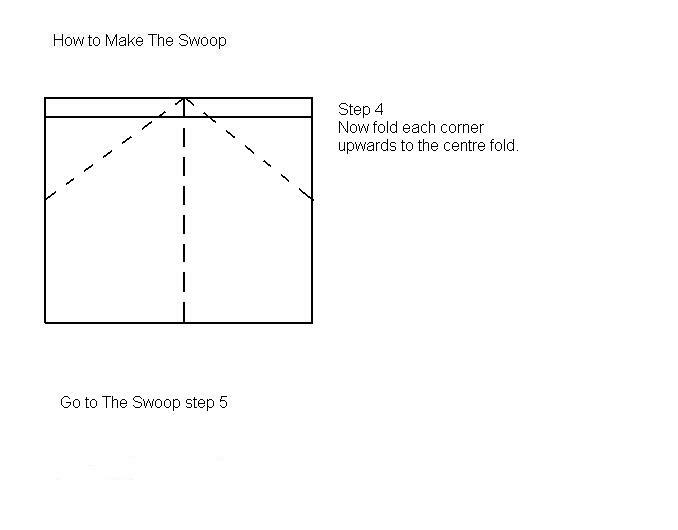 The Swoop is an easy paper airplane to make. 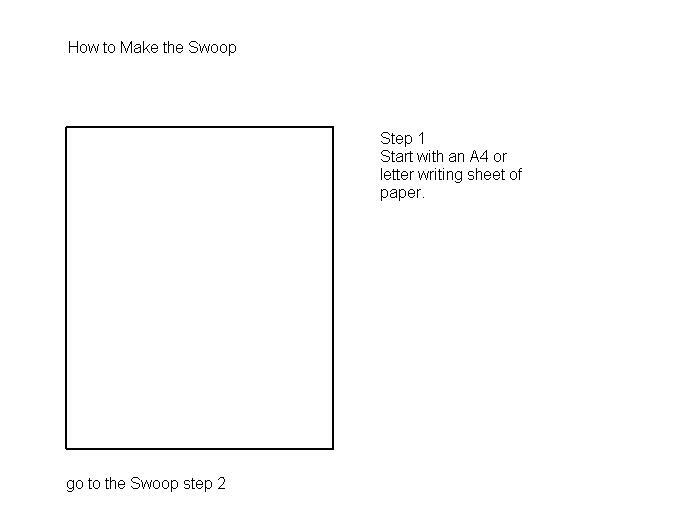 Some times the hardest part about building paper airplanes is understanding the instructions to make paper airplanes. 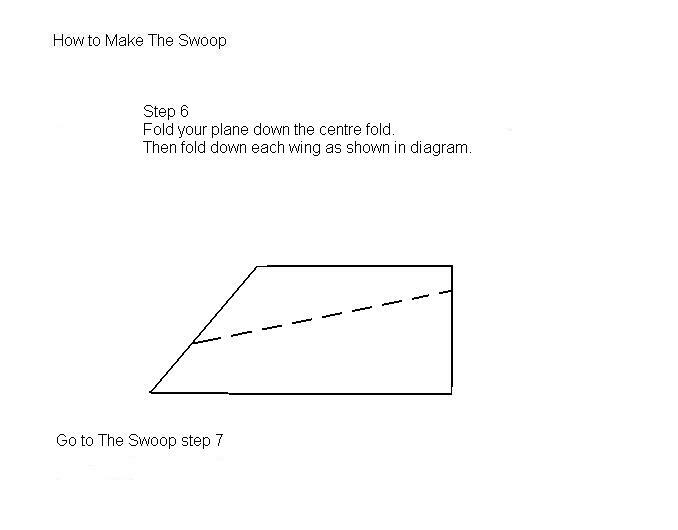 However the instructions for making this great paper plane are written for all to follow and understand. You will be flying and running around very soon. 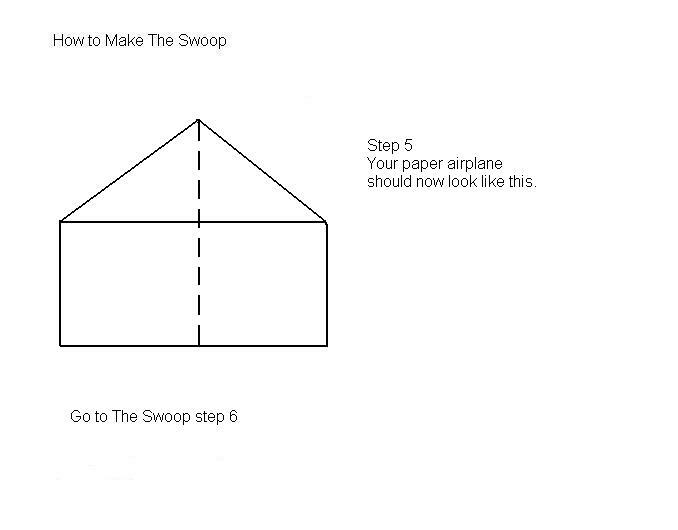 There are just ten steps to complete to build this airplane. Have fun! There you did it! 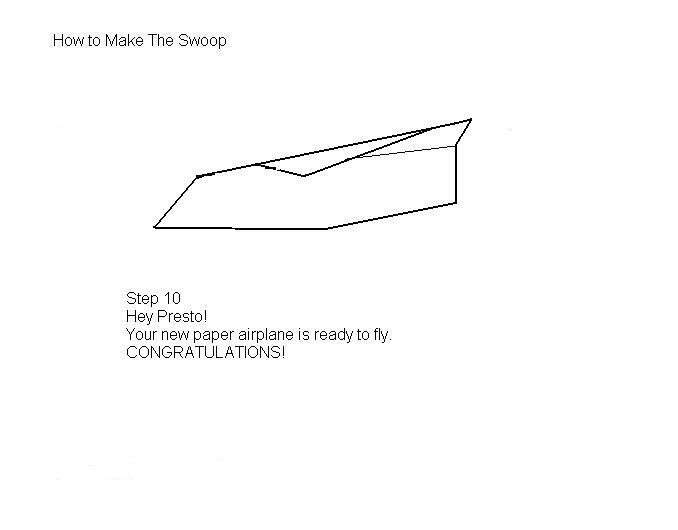 See I told you that these instructions to make your paper airplane ARE EASY. Now let's see if I can help you fly it. It is such a great plane to fly you're going to love it. Where did I put those instructions? Just kidding - here they are. 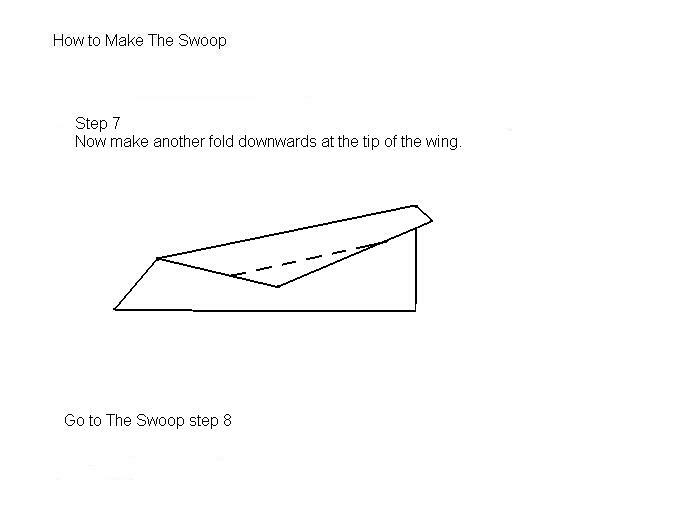 INSTRUCTIONS TO FLY YOUR SWOOP PAPER AIRPLANE. When you are ready there are more paper airplanes for you to make. 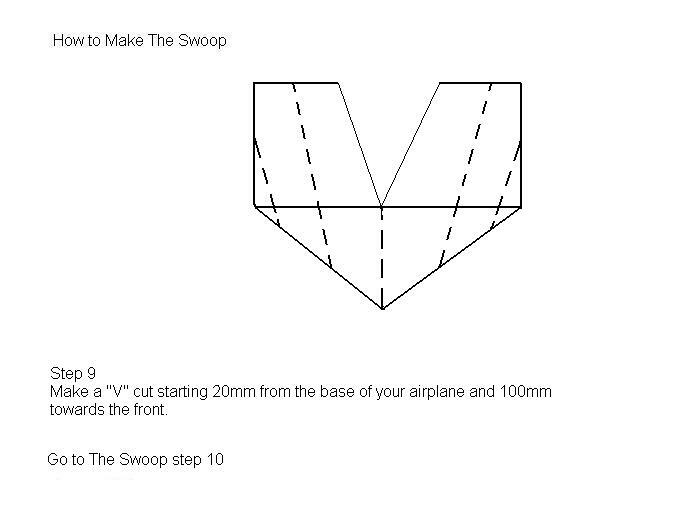 These paper airplanes are a lot of fun for little kids to make. Whether they're preschoolers or in primary school, these are great for kids to make and then fly. The look on their faces when they see that something they have made with their very own hands, actually flies is a wonderful experience. Imagine what they think they can do when they accomplish a moderately easy task like this. It will make tying shoe laces a breeze. 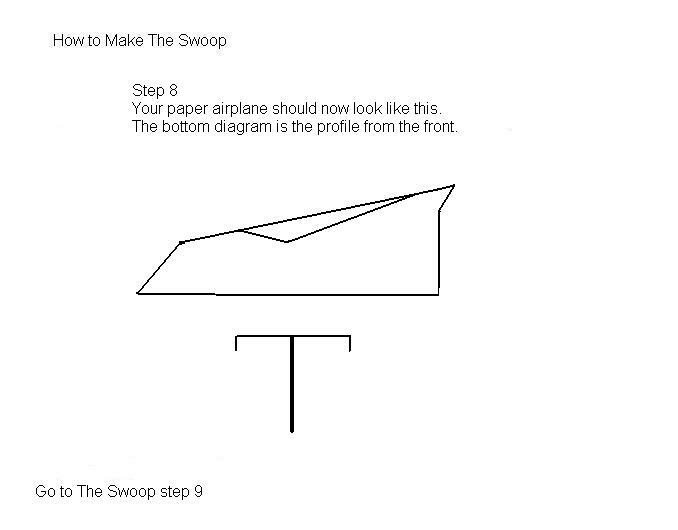 I actually created The Swoop paper plane after first of all learning how to make another type (I can't remember which one). 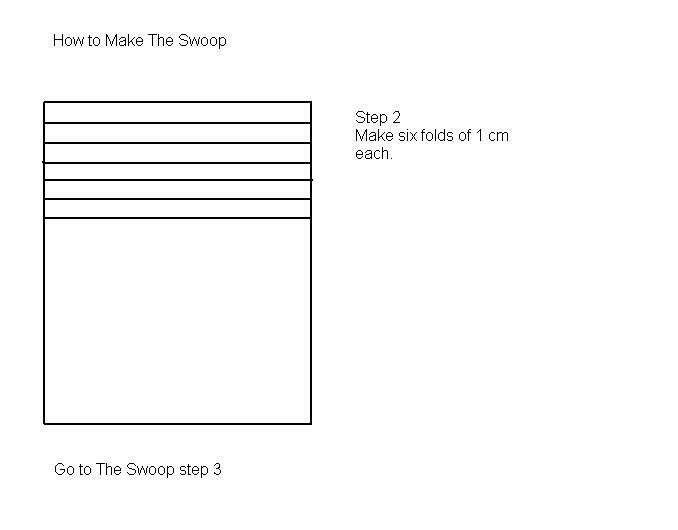 After studying some necessary folds, I set about to teach myself a new way. What a lot of fun it was and the only reason I decided to learn was because of my idea to build this website. Now I'm earning an income from something as simple as a paper airplane. If you have an idea that you have been thinking about for some time, perhaps you should click that link at the bottom of this page - "Click here to learn how to leave your job sooner" also. Who knows, you too could be your very own boss. 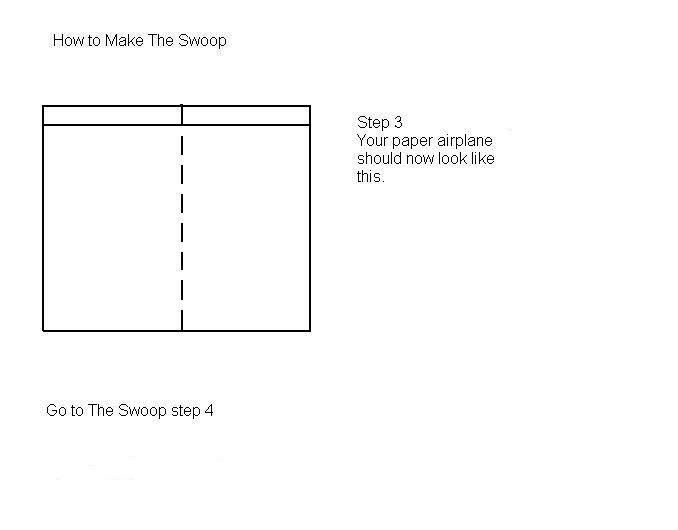 Last flight from The Swoop to Airplane and Aircraft.com home page.